Discussion in 'Forum Introductions (Who are you!?)' started by abrakamowse, Jun 11, 2018. So, I always wanted to become an artist. But, because of fear I think, I just took the “secure” path and I studied graphic design. So, I was mainly working for printing offices or working freelance from home. But the situation was getting worse, I was living in my native country (Uruguay). It’s a small country, there’s not too much opportunities there, so my wife and me had an opportunity to come the America and so we did. We are living both in New Jersey and I am working in New York in a Printing Office. So I decided to become my own boss. And I created a website mostly dedicated to graphic design, I even came up with a name “moWse Design” and I began to do some graphic design work. I did some logos for a local hair stylist, I did some postcards for a Zumba business, a website for a restaurant… stuff like that. But I wanted to move a little bit more to my creative side, to my illustration and comic art. So this year I decided to go comic all the way. Not sure if this is fastlane, but it is really my passion. And I am always thinking in “The Walking Dead's” who jumped from an indy comic at Image Comic to a TV series, or Mike Mignola, who also did the same thing with Hellboy, now is a great Franchise. But I really not looking for any result, I just want to do what I love the best I can, and if something big happens, I will welcome it. But I am changing my mindset, so I can learn from my failures without being disappointed. If I don’t expect anything from what I am doing, I won’t be disappointed if I fail, I will just continue working and trying to be better every time. My idea is to do a webcomic, so I can build a following there. I also have a Patreon Page. So, I will be posting my process on Patreon, and for those who patronage me I will post some of my sketches, drafts and designs that I do to create my webcomic. So, it will be a little bit like “behind the scenes” of my webcomic. If I get enough interest, my idea is to print the comic. And to promote it on Comic Conventions. That would be a good way to get new readers and also I will give a comic to editors who can be interested in my art to work on some of their comics. Xeon, ChickenHawk, Bert B and 6 others like this. Welcome Daniel! BRB ... gonna check out your work! Welcome to the forum. 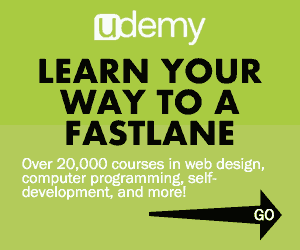 Here's a Gold thread that was started by me about following your passion over been fastlane. GOLD! 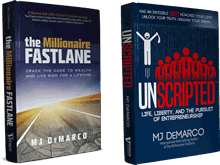 - I have a problem with MJ DeMarco (Follow your passion gets a beatdown). This thread will help you know if you are making the right decision in following your passion for its sake or using your skills for money. I checked out your page and your business page looks very professional. How about you post some of your comics here on this forum so others can see your work. Xeon, AnAverageJoe, Bert B and 1 other person like this. As a fellow designer, it's something that I feel needs to be said with regards to the passions we have in content creation; the parts of graphic design that we love are rarely ever fastlane. Remember scale vs magnitude. Comics are something that have a large scale and depend heavily on that target niche. It's a good idea, however in the world of graphic design (which is really saturated now), it is very hard to separate your time from your money. It's about working smart. Your passion is graphic design and you are an artist, but it's a lot of time and work to invest into something that may not pay off itself. Magnitude wise you'll need to work hard and create a Mona Lisa if you want this passion to be fruitful. Scale wise, look at the target market that you want to get into. If you give people the content and quality products (comics) that they want, they will keep coming back for more. I don't know about comics, but I'm a huge manga fan and surely if the quality is great I'll keep coming back for more. Xeon, GWan, Bert B and 2 others like this. Hi MJ DeMarco, hope you like my portfolio and if you think I need to change something in it, let me know! I am looking for feedback! Thanks a lot @kelvinfernandezm I definitely will be posting some of my work here. Thanks for the link to that thread, I will read it tonight. Very interesting and it is really about one of the question I made myself since a teenager, follow my passion or follow my logic? I have a big tendency to go for my passion, but I am definitely open to other possibilities. Try to make comics "fastlane" if that's possible. Thanks a lot @jon.a for the round, hehehehe.... I really didn't notice that I am in the forum for a year, crazy how times fly! That makes me conscious that we have to do things NOW because in a blink of an eye we can lose a lot of things and opportunity. Thanks a lot @Thomas Baptiste great to know you are a designer too. Cool. You are very right about comics not being something that may pay off itself. That's why I am thinking more in self-publishing. Because I think is something were I do the comics once and then it's just the sale part but there's no more work involved. The only thing is try to find the correct niche where the comic can be sold, that is not something small but what I am trying to say that it is not going to be like a professional comic artist, that just do the drawings and gets paid. One of the things that I am paying attention is to the kickstarters. I don't know if you heard about them, but you have to create a page in kickstarter.com and try to find supporters. I know is not easy but it is worth to give it a try. this guy has inspired me, he did a book with tutorials about different ways to draw stuff and he got really a crazy amount of money, here is the link to his kickstarter. Thanks for your advice! Thomas. Being involved in all facets of the art world, we have a relative that works at Pixar. Him and some buddies have started a series on Youtube and by what I've heard, it is doing well and they are having a blast doing it. When summer is over his sister will be back in town and I will try to remember to ask her what the channel is called. His wife is a movie star and he is always busy with his work at Pixar and the Youtube channel so I never talk to either of them. Anyway, do your thing, maybe start a Youtube channel, you never know where it might end up. Be sure and have fun along the way. If you mess something up along the way.... it's ok, just keep on keeping on. I think I'll text his sister tomorrow and tell her to ask him to text me. Just an fyi.... mis-spelled words on your About Me page. I didn't really read any other page but you might do a good once over, twice. I looked at your work and your website. Totally first class all the way. I am a tough critic and I wouldn't say that if it wasn't true. I know you can go far. However, I am a comic book aficionado, and I would steer you away from that genre. There is a healthy underground of comics already in existence, and they are mere shadows of what the comic book industry used to be in its glory days. It's a crowded field, and an incredibly limited audience. Move on. You certainly have the talent to do so much more. Your Zumba flyer is superb. Using that, I think you could easily penetrate the corporate market for good paying regular clients. Read: repeat customers. That's far more than the comic book world can even THINK of providing you. A suggestion I have would be to have your website be up to par with what your work is. Your website, although very professional, does not SCREAM out about your work - and it should. Use that showcase. We don't need a generic cityscape - what does that have to do with anything? Boring. Your work is 100 times better, but it's way way down the page. Almost hidden. Get it front and center so the world can see it! Your "about page" could be more dramatic too. First impressions count. Have a little fun with it! A few testimonials up front would help. Video is powerful. Use it! In a world full of cities, you are a resort. You should take people's breath away when they first lay eyes on your website and your showcased work! You are not a local hotel, ho hum. Show off! You are one of the few that can do that and pull it off well! Your talent is uncommonly good and you will do well. abrakamowse, Bert B, tuko and 1 other person like this. I will follow you on your journey. Hey @abrakamowse ! I'm new here as well, but welcome. Consider reading the book 'Built to Sell'. It's a great example of how a designer can get in the Fastlane. It's another example of a designer entering the Fastlane. Also, have you consider doing live drawings on Twitch? Then you could upload your Twitch videos to YouTube. That would give you two potential revenue sources. abrakamowse, Bert B and tuko like this. Thanks a lot, I would really appreciate that! I have on mind actually doing a youtube channel. In fact, I have created a gmail account for with the name of my design company to begin to post videos soon. My idea was to post videos of my drawing process and some about design, things like that. And thanks for catching that mis-spelled words on my page, I will take a look. English is my second language, so it is really good guys if you let me know when I write something wrong, that way I can catch my mistakes and improve my english. Thanks a lot for your post! Really helpful! Ok, first of all ... A BIG THANKYOU! You really made my day. I am always doing and redoing my webpage. Thanks again for your feedback about it. You are right about that the page is not showing my work. Thanks for pointing me to that. I was thinking about changing the generic view of New York for my actual work, but I am always not dedicating enough time to my website, always saying I will do it when I have "free time" and that moment never comes. I think the time is always NOW and you reminded me to do it ASAP. Thanks again. Thanks a lot, you really motivated me. I am always as you said holding me back. Don't giving value to my work, really. I am changing that little by little, let me tell you. I have to fight with myself a lot about that. And I think being here in the forum, participating more actively will help me a lot to change my view of myself. Oh, that's great. Do you have a website or a youtube vimeo channel where you post your work? Filmmaking is other of the things I would like to do one day. I studied filming language on a local school in my native country and we made a documentary about a Film Center, like an independent movie theater, where they took old pictures and restore them, they conserve old movies and you pay a monthly fee and you can go anytime you want to see old movies. Pitifully it was done long time ago and we did it in super vhs. There was not computers at that time hahaha... In fact, there was but you needed a special graphic card to convert the video to digital and a really powerful computer. Now is very simple. Thanks for your welcome! I will follow you too. Thanks a lot for those books. I just downloaded the one from freshbooks, and I will definitely read the other one you recommended me. I will add it to my books to read list. And about the Twitch thing, really I saw twitch but I didn't think about doing something there... you are right. I will do that. It's really a good idea. I think I will begin this weekend with that. And I noticed a very young public in there that maybe interested in my drawings and illustrations. Thanks a lot for your advice! I really appreciate it. The home page: I couldn't be sure if the cityscape image was a sample of your work or if it was merely a stock image. If it's a sample of your work, I'd make that fact more obvious so clueless folks like me can fully appreciate it. If it's not a sample of your work, I'd change the image on your home page so itdoes include samples of your work. Show it off! Politics: One of your illustrations was very political in nature. This seems a bit risky, because you could potentially alienate half of your potential customer base. If it were me, I'd avoid the political stuff, unless I was actively seeking to build a political brand for one side or the other. Speaking as someone who is actively looking for illustrators, your websites are missing the point. You created two corporate websites when your strength is art. Remove the headers, corporate backgrounds, stats, etc. and show me your art! You're trying to sell your art with words. Instead, blow me away with your art so I just envision using your art to help me. Put another way, I'd rather browse Instagram than corporate websites. Edit: Remove the Trump illustration. That one thing would stop me from hiring you. Thomas Baptiste, abrakamowse and ChickenHawk like this. I think I will try to keep politics out of my art, so I will remove it! And what you say about the corporate website, it's true. I did it like that because sometime ago I was looking for a mentor, and I one guy offered me to be my mentor. I found him through a website of NYC mentors. And he suggested me to make my website look more "corporate" because he said that the money is there. I will begin to make those changes and make it a website more with illustrations and art. I was thinking that I can also appeal to the more "corporate" market by doing illustrations in an style more for advertising, like the illustrations they do for Cereals, games, or mascots for products... things like that. Thanks a lot, your advice was really helpful. I appreciate your honesty about how to improve my website. wade1mil and ChickenHawk like this. Welcome! I checked out your Web site, and wow, you've obviously got talent. Yes, you are right. I already changed it for some of my work. No more city scapes... I still have two generic images on that slider, I will change them one with my samples of illustrations and the second one with websites and that's it. I am thinking in focusing on illustrations, but I also know graphic and web design. Yes, I really thought about that, and with the suggestions you are all giving me I decided to take it out of my website. I think I will be from now on, neutral about politics. It's a theme that brings too much passion and you are right, I can alienate some of my prospective customers. This! 100%! Creative design is an important element. Make it less of you trying to sell something and more of you trying to make a showcase. Make it more portfolio oriented than sales, you'll see the difference. Thanks Thomas, I will do that! The character is Crazy Jane, one of the characters from DC's Doom Patrol. Graphic designing is the best option to learn in order to earn online money as many websites need these kind of skillful people due to increase in the digital marketing. Every new company needs a graphic designer for the marketing purpose of their products on the online sources. Am I right folks? Real Deal Denver and abrakamowse like this. Okay wow I'm seriously impressed. Don't know if you're interested, but I have connections to a comic idea that needs illustrations badly. Get back to me and we can make something happen man.